Valentine’s Day is barely a month away, and have you thought of any gift for the people you love? One of the more common gifts is chocolate and of course, flowers. 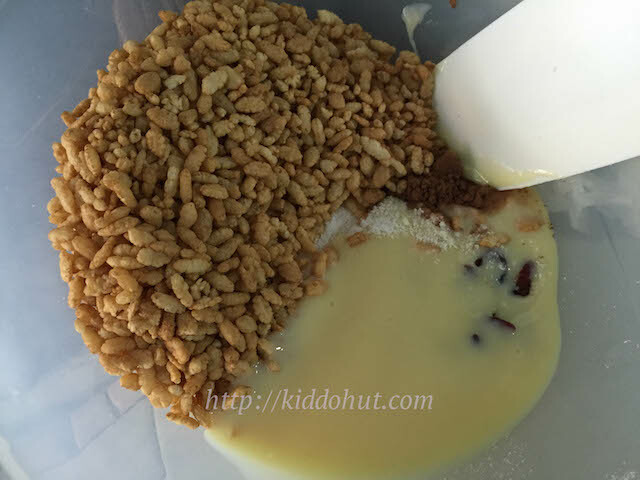 How about making this non-baked Cranberry-Choco Crispy Balls for your loved ones? Valentine’s Day (14 February) is often celebrated by romantically-linked lovers but personally, I feel it should be celebrated with people you love. Probably a day for you to show thanks and appreciation for the love and concerns you have been receiving. Notwithstanding, there are many ways of showing your love and not necessarily in an expensive way or form. 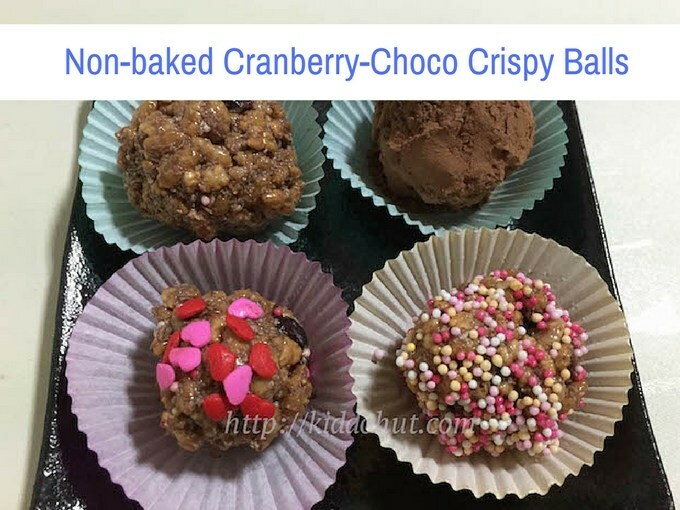 I am introducing this confectionary named non-baked Cranberry-Choco Crispy Balls for people who loves chocolaty confectionary, doesn’t want to give just chocolates, or wants to hand make something simple and easy. And, this snack is definitely a great hit with kids. I bet that they won’t stay long in the container with a bunch of kids. How about some snack for your movie or the forthcoming Chinese New Year? This snack is easily shaped to any shape you like or simply shape into heart shapes. I am lazy so just roll them into balls. In fact, I should have just spoon them into the cupcake liners and fridge it. In this way, I do not even need to get my hands dirty. This is a crispy rice bubbles chocolaty snack with some soft fruits. 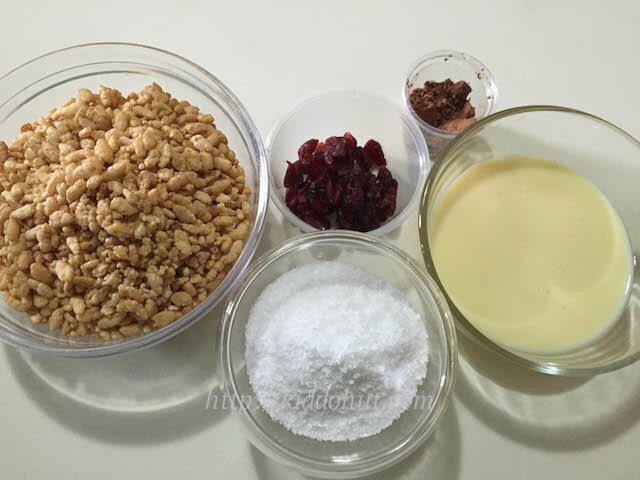 You can get all the ingredients very easily and you can replace the ingredients easily too, to tailor to your taste buds or the one who you will be giving this sweet to. You can coat them or leave as it is. I have another confectionary recipe that requires no cooking, please click here to view recipe. 1. 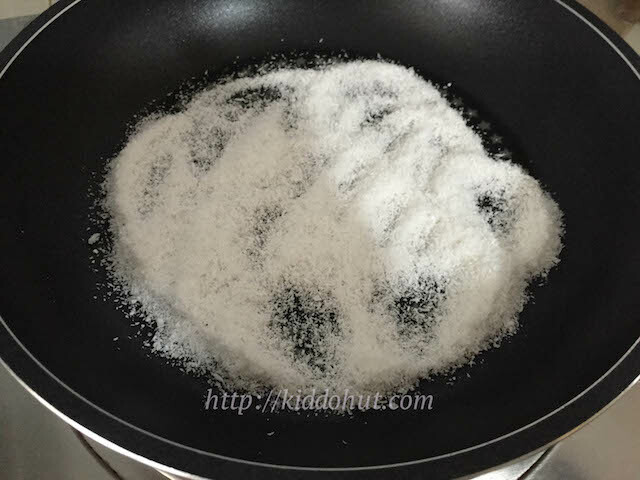 Lightly toast the desiccated coconut in the frying pan or toaster for 3-5 minutes under low heat. Once you smell coconut fragrance, off heat. Do not over-toast it. 2. In the mixing bowl, add condensed milk, cocoa powder and desiccated coconut, mix well. 3. 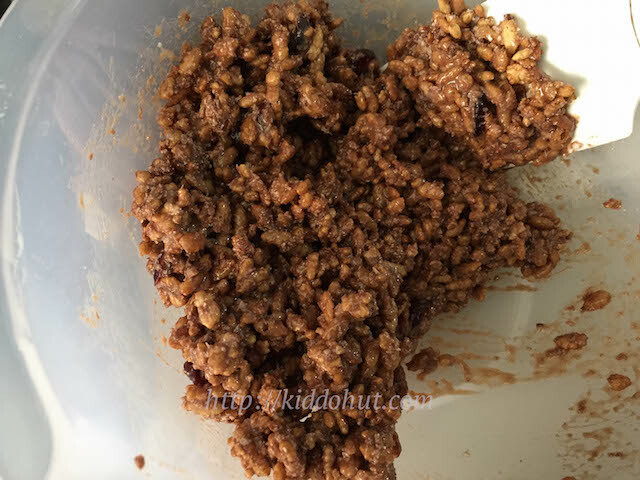 Add rice bubbles and dried cranberries or fruits and mix well. 4. Shape them or roll them into balls. Roll them in sprinkles or cocoa powder. 5. Put in an air-tight container and chill in fridge. Serve.